Learn 5 research packed studying techniques in this week's blog post! We hope you made this month's Speaker Series but if not, have some self-compassion and watch it online instead! Student Support Counseling is available at any time during the school day. We are able to help and support students with whatever issues they may be facing. For some students they may want to talk and others just may need a quiet, safe place to go. Others, may have concerns about someone they know. Either way we are available. If the issue is something more than what we can handle here at school, we can connect families to those needed resources. We also want to encourage the collaboration with any outside agency you may be working with. We have the students for the majority of their day so working together as a team will be most beneficial and effective for the student! We are excited to announce that Westlake has been accepted to be part of the Challenge Success program next year! We encourage you to read up on the program, follow them on facebook and review our SEL information. Stay tuned for more information. If you have questions, contact Katie Bryant. ​another great way to look at substance use prevention! Here is our list of clubs! We’d like to remind you that everyone deserves a safe and healthy relationship. Remember, love has many definitions, but abuse isn’t one of them. If you or someone you know has a question about a relationship, healthy or unhealthy, visit loveisrespect.org or text “loveis” to 22522. We encourage everyone to print this card and carry it with them at all times. 1-800-273-TALK (8255). Save a Number, Save a Life! 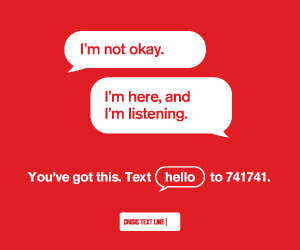 Don't miss the National Suicide Prevention Week blog post with tons of helpful resources!